Our amazing selection of eyeglasses and popular frames is sure to supply you with a perfect pair of glasses for your unique style and visual needs! Our Texas State Optical Magnolia optical staff will help you browse through our collections and narrow down your options to the best frames and lenses for you. We offer many lens customizations options to suit your eyesight and fashion. Personal attention is our motto, and we won’t rest until you’re fitted with a pair of eyeglasses that look great, sit comfortably and correctly on your face and provide you with optimum vision. We’ve been taking care of eyes in the greater Magnolia area since 2011, and our courteous and professional in-office eyewear experience is one-of-a-kind! If chic, upscale trends are what you’re seeking, we have a wide array of designer frames and sunglasses to satisfy your interest. Our designer collections include eyewear from contemporary American and European brands. With a rainbow of hot colors and materials, such as stainless steel, titanium, and plastic, we’re confident that you’ll find eyeglasses that make you look and feel great. If you’re not sure that your vision is in top shape, book a convenient eye exam with Dr. Christy Jew or Dr. Nga Nguyen in advance of your visit. Whether or not you need vision correction, sunglasses will protect your eyes against harmful UV rays and are advised for everyone. With or without a prescription, a stunning pair of sunglasses from TSO Magnolia will keep you in vogue! Are you interested in wearing contact lenses that grant crystal-clear vision with pure comfort? Contacts are a very popular eyewear choice nowadays, and with so many high-quality options on the market, we know how to fit even the most challenging eye conditions with lenses. Call us for more information about the latest materials, or browse our website articles for additional helpful information. Dr. Christy Jew will meet with you, evaluate your eyes and discuss your visual goals. We are skilled at finding lenses for hard-to-fit patients. Contact us today to schedule a full contact lens fitting in our Texas State Optical Magnolia clinic, including training on the proper way to handle and wear your lenses. We also provide complete follow-up services, to ensure that your eyes stay comfortable and healthy. We pride ourselves on warm and professional customer service for all of our clients, whether you are new or an existing patient of Dr. Christy Jew and Dr. Nga Nguyen, at Texas State Optical in Magnolia. Come to visit us today at 6519 FM 1488 Ste 503. Walk-ins welcome! You can just bring your current prescription and purchase contact lenses or eyeglasses in Magnolia, TX. We have our favorites amongst our wide selection of designer eyeglass frames. Ask us and we’ll share them with you! To show you how you look to the rest of the world, we’ll take a snapshot of you if you’d like. Even with the availability of contact lenses and advances in laser eye surgery, eyeglasses are as popular as ever. We’ll take you through all the steps of wearing contact lenses, from proper fittings to choosing the best lenses for your ocular condition. Protect your eyes from harmful UV rays with a pair of fashionable sunglasses from our selection. 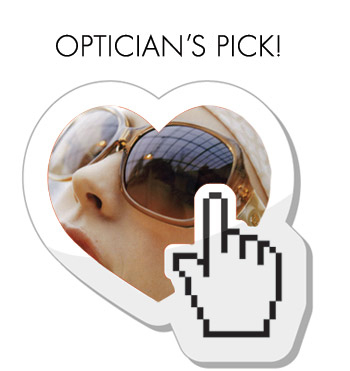 An array of good-looking styles is available in prescription and non-prescription versions. Learn how to take care of your pair of prescription eyeglasses and frames. We’ll also explain the benefits of progressives, bifocals, high index lenses and prescription sunglasses. Eye strain is caused by extended periods of time staring at a computer monitor or screen of another electronic device. We offer specialized computer glasses that will protect your eyes and vision. Our interactive tool, accessible via our website, will take you through a list of questions all about you and your lifestyle. Your answers will direct our program to identify the eyeglasses that are ideal for your unique eyewear needs.